The Horror Show #2 will officially be available on Comixology next Wednesday, July 8th. This is the second of the three issue series by James Maddox and Todd Beistel. We are excited to announce the official release date of Sevara #1 on Comixology. Next Wednesday, July 1st, Comixology will be releasing the second installment of this amazing story by Damian Wampler. We are excited to announce the official release date of Book of Monsters #2: Vlad Tepes on Comixology. Wednesday, June 17th, Comixology will be releasing the second short story of this anthology of horror icons. Eric Watkins, James Maddox and Rob Dumo will be set up at the Broken Icon Comics tables (A247-A248) with a whole slew of books and previews for upcoming work. 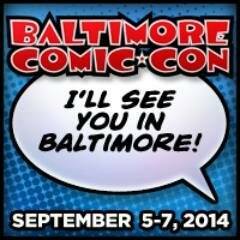 We’ll also be looking over portfolios and taking meetings with potential creators to add to the BIC lineup. If you’re in the area, stop by and say hello! The Horror Show—by James Maddox and Todd Beistel is now available for FREE digital download. Check out the coolest original short story fresh from Broken Icon Comics, complete with humor, thrills, twists and gore galore! CLICK HERE. Also, visit our store to check out other titles from BIC!